Educators have a vital role in children’s lives; they are involved on an almost daily basis and school is an optimal place for children to monitor and develop psychological competence and teach appropriate choices regarding their health. Working collaboratively with educators is key to the improvement and maintenance of children’s mental health. Suggesting to the parents or guardians of children or adolescents that their child needs a psychiatric evaluation may be one of the most difficult professional conversations you have. Parents may not recognize their child needs help simply because parents are too close to the situation to see it objectively. Parents unconsciously adapt to their children and may not even realize that their child has a learning disability, behavioral issues, or a mental/emotional disorder. Most parents do not have the experience that you have with assessing a child’s development. The fact is, you see their child in ways they do not. Your ability to refer parents to a psychiatrist for their child may be the link between a child and his/her happiness and success. Referring parents to a psychiatrist who is empathetic, compassionate, nonjudgmental, and expert at treating a wide range of mental illnesses in children and adolescents can help take the pressure off of you, the student, and the student’s parents and ensure that the child is back on a successful trajectory of life. My approach to treating children and adolescents is to work collaboratively with the student’s education professionals, including teachers, guidance counselors, and coaches, as well as parents and other health care providers and encourage frequent communication. Students who have a team behind them stand a far better chance of thriving than those who do not. I act as both psychiatric physician and an advocate for the child’s mental health, helping to ensure everyone is on the same page for the best interest of the child. I take a positive approach to assessment, where the student’s strengths are accentuated, which creates an atmosphere of positive engagement and expectancy, and helps de-stigmatize mental health treatment. While I am a psychopharmacology specialist, I take a conservative approach to prescribing medication. Whether or not I prescribe medication, I offer students tools to help them improve their performance academically, socially, and physically. Since body and mind are connected, often, mental disturbances will manifest in physical ailments that compound learning or behavioral problems. When approaching parents about referring their child to a psychiatrist, it may help to assure them that their child’s mental condition is not the parent’s fault, nor is it the child’s fault. Most mental illnesses are due to brain chemistry. If, after the initial visit, we determine I am not the best fit for your student, I will refer him/her to another excellent psychiatrist. As you know, today’s kids are under increased pressure to perform academically and in extracurricular activities. Even the most well adjusted students feel stressed at times. Underperforming and over-performing children and teens and those suffering from compulsions, ADHD, autism, learning disorders and other behavioral health disorders need psychiatric tools to help set them up for the best possible chance to succeed. We all share the same vision and hope that the children become the best that they can be while having fun growing up! I have been a foster parent for over twenty years. 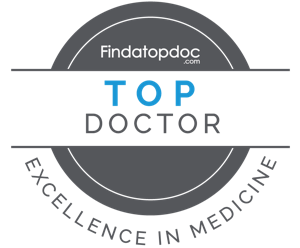 In all of that time, I have never had a doctor for my children who was as knowledgeable, patient, compassionate, and caring as Dr. D. His treatments have been much more successful than any others we’ve tried in the past. It is obvious Dr. D. takes the time to collaborate with other health care providers and to read past medical records. I have never felt rushed while in his office, and my children have been very comfortable speaking with him. He is able to get them to interact and open up. Dr. D.’s office staff is efficient and responsive. I could not recommend him any more highly.